UniSA health researchers are involved in a diverse range of research activities, with a particular emphasis on research relating to cancer, population health, healthy lifestyles, pharmaceuticals, Nursing, Allied health, clinical neuroscience. mental health, and Aboriginal health. The options are many and varied and can be tailored to suit your research interests. Achieve outcomes-based research aimed at improving health for all. Work in a dynamic research environment and make the most of opportunities to travel as part of your study. Gain career relevant skills and knowledge via the Transformed PhD. A research degree is an advanced program of study allowing you to investigate a topic relevant to your field. Under the supervision of world-class researchers, higher degree research candidates learn and apply advanced research methodologies to produce new knowledge and provide solutions to the world’s challenges. Completing a research degree means becoming an expert in your field. It’s your opportunity to take a topic that interests you, explore it in depth, tackle intellectual, creative and practical challenges, and communicate your findings. Allows formal recognition of established researchers and/or scholars who do not already hold a PhD qualification, and who have produced a significant body of research of international standing in their field, with an ongoing record of academic publication (work). Students analyse their thesis topic at an advanced level, applying research methodology and techniques to contribute further knowledge to their field, under appropriate supervision (two years full-time equivalent). Please note, a Masters degree by coursework (such as an MBA) involves enrolling in selected courses and participating in lectures and tutorials (online or on campus). It is different to a Masters by Research. Our research is carried out through several internationally-renowned research groups, as well as the UniSA Cancer Research Institute and Centre for Cancer Biology (an alliance between UniSA and SA Pathology). 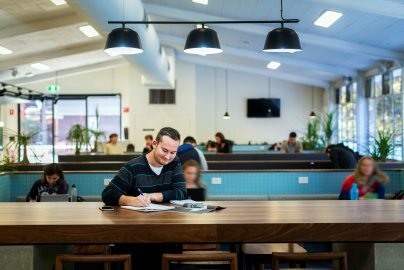 UniSA provides a dynamic, interdisciplinary environment where you are encouraged to develop your research skills and knowledge under the supervision of some of Australia’s leading researchers. We offer unparalleled learning facilities and are committed to continually investing in and upgrading our laboratories, offices and technical capabilities to ensure researchers have access to the very best resources and equipment needed to carry out world-class research. A doctoral qualification will advance your career possibilities and give you a competitive edge in the work place. You may choose to further your career in industry, academia, or in research with a research institution or university locally or internationally. My research focuses on improving the oral absorption of antipsychotic medications for schizophrenic patients. 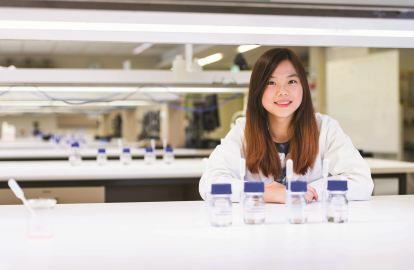 Through this research I was awarded an Endeavour Postgraduate Scholarship, which gave me the opportunity to conduct world-class research at Janssen, a global pharmaceutical company in Belgium. Without the support from my supervisors here at UniSA, I would never have been awarded this scholarship. My PhD with the Australian Track Cycling Team is focused on using the Critical Power model. This model describes the maximal work capacity of elite athletes through aerobic and anaerobic contributions to exercise. As part of my research I worked directly alongside the head coach of the Australian Team, providing sport science support in areas of physiology, biomechanics and performance analysis. My research focuses on Parkinson’s disease, specifically developing a pre-clinical model of Parkinson’s disease so that novel treatment options can be explored. As part of my research, I received a UniSA international travel grant, which allowed me to study new laboratory techniques for four weeks at the Hannover Medical School in Germany and attend an international conference in London. Both experiences broadened my knowledge of neuroscience. I am investigating drug resistance in multiple myeloma, currently an incurable blood cancer. During my studies I received a Vice Chancellor and President Scholarship, which will allow me to attend one of the largest conferences in the world for people working in blood cancer, held by the American Society of Haematology. I enjoy the hands-on experiences undertaking a research pathway presents. I hope my research will help the defence force better monitor training loads and avoid injury and illness that may be caused by overtraining. I was a recipient of the prestigious Fulbright Scholarship, and investigated the relationship between running and sports injury. I worked with athletes and researchers from the University of Massachusetts to explore a new biomechanical assessment technique I developed at UniSA. In 2016, I was also the winner of the UniSA Three Minute Thesis (3MT) competition and more recently, was awarded the South Australian Science Award. I hope to translate my findings to practice and provide athletes with improved injury prevention strategies. I’m working with families who have experienced multiple stillbirths, and by examining their DNA sequences I have been able to uncover the ‘faulty’ gene. This then allows couples to undergo a process where embryos are screened before implantation and only those that don’t carry the disease causing gene mutation are selected. I was awarded the Maurice de Rohan scholarship, where I will undertake research at the Center for Mendelian Genomics (CMG) at the Broad Institute of Harvard University and Massachusetts Institute of Technology. In 2016 I won People’s Choice Award in the UniSA Three Minute Thesis (3MT) competition, where I presented on the idea of harnessing immunotherapy as a treatment for cancer. I believe that my PhD project, which explores the function of the body’s cardiovascular system in relation to melanoma tumours, could lead to the discovery of better treatments for melanoma and even prevent this serious form of skin cancer. Hear from some of our health PhD students as they discuss their studies and exciting research opportunities at UniSA.